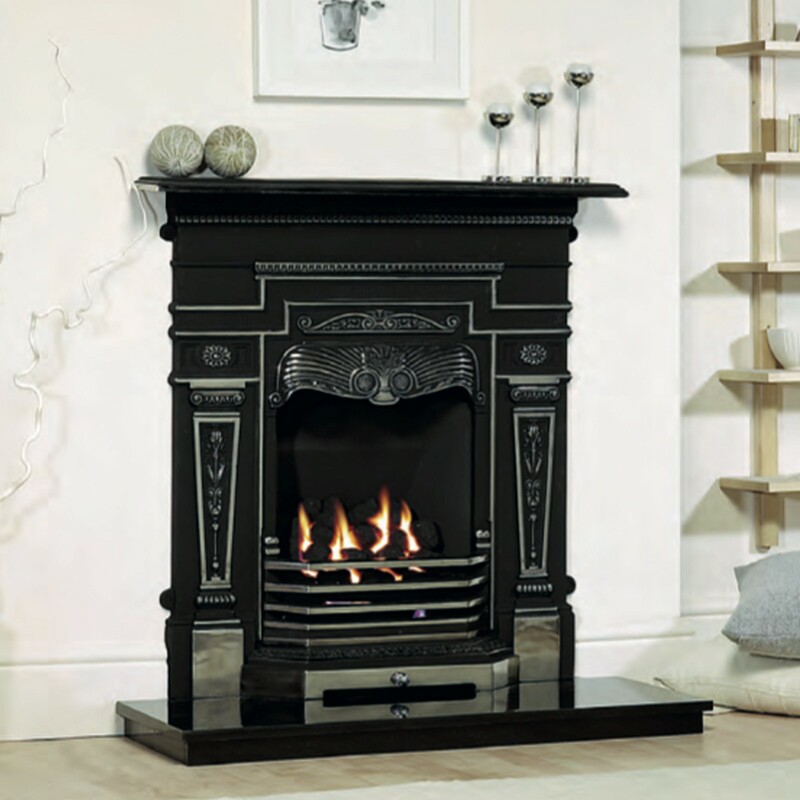 The Cast Tec Ashfield Combination Cast Iron Fireplace features a solid cast iron design that is available in both matte black and a full polished highlighted finish. 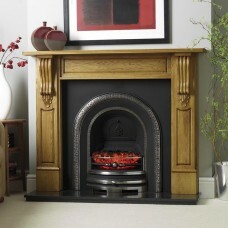 The Cast Tec Ashfield Combination Cast Iron Fireplace is a traditional combination casting with a small cast iron shelf attached. Each is compatible with gas, electric and solid fuel outputs. 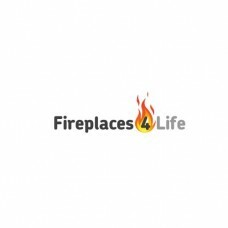 Infact we offer this fireplace with a realistic coal effect gas fire with a maximum heat output of 6.9kW heat output that can be configured for natural or LPG gas outputs. 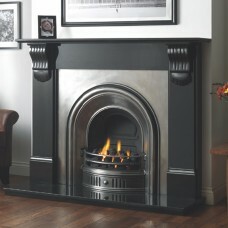 Each fireplaces cast iron frame is available in a choice of a matte black, antique or highlight polish finish.